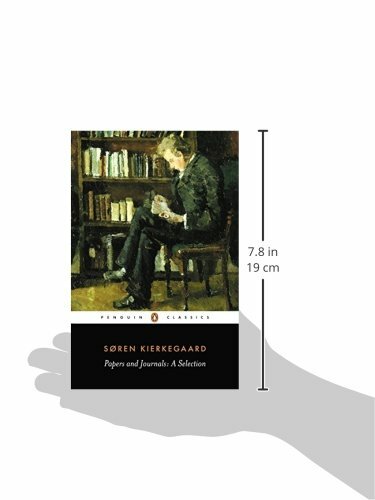 One of the greatest thinkers of the nineteenth century, Søren Kierkegaard often expressed himself through pseudonyms and disguises. Taken from his personal writings, these private reflections reveal the development of his own thought and personality, from his time as a young student to the deep later internal conflict that formed the basis for his masterpiece of duality Either/Or and beyond. 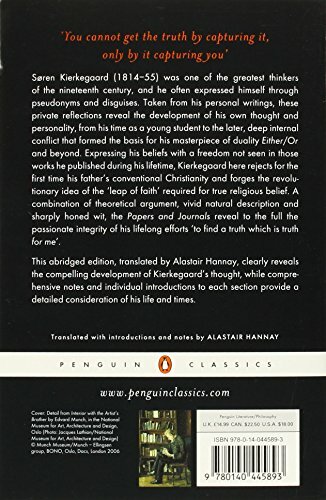 Expressing his beliefs with a freedom not seen in works he published during his lifetime, Kierkegaard here rejects for the first time his father's conventional Christianity and forges the revolutionary idea of the "leap of faith" required for true religious belief. 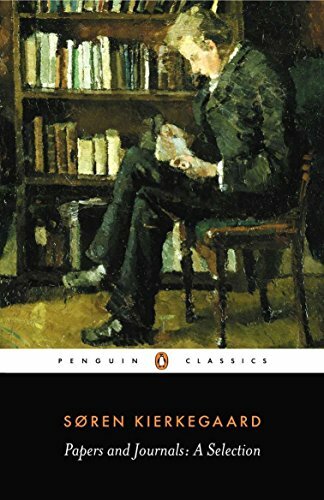 A combination of theoretical argument, vivid natural description and sharply honed wit, the Papers and Journals reveal to the full the passionate integrity of his lifelong efforts "to find a truth which is truth for me."